Thankfully, today’s Bohemian décor is no longer the loud, mismatched furniture and macramé found in every corner. The word “Bohemian” originally referred to those who lived an informal, unconventional lifestyle (think writers and artists). 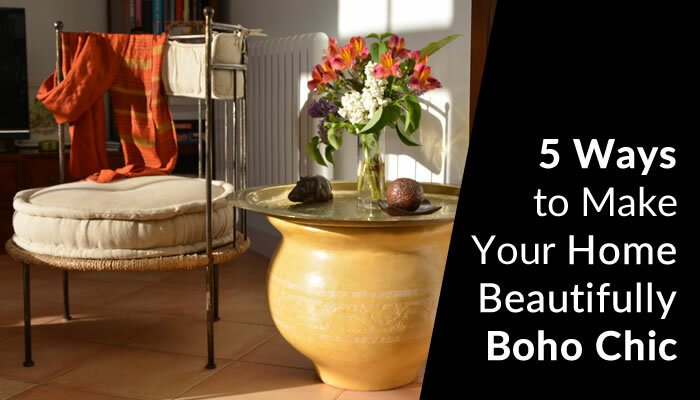 However, over the years Bohemian has become boho chic, a 1970s-influenced style of décor and clothing. As an interior decorator of course, I embrace what’s happening in the industry, but I also buy what I love and mix and match it with what I already have. Boho chic – and any type of decorating – shouldn’t be about rigid rules you need to follow. It should be about what brings you joy and calm in the place you call home! Go a little wild if you want! Mix patterns and colours that aren’t conventionally used together: purples and reds with muted greens for example. Use patterns, dyed textiles, bright colours and funky paintings or photos to give the room a sense of fun. From a Tibetan rug to a Tiffany lamp, show off items you’ve collected from exotic places or right here at home. Boho chic design is all about layering the colour palettes, furniture and knickknacks that you think look good. Remember, you can always tone it down later, so don’t take it too seriously. Boho chic home decor looks best when it’s an addition, not the focus. Rather than bringing in a brightly patterned couch and chair, stick to a solid colour and add eclectic throw pillows or patterned blankets for balance. Instead of wallpapering your bedroom with geometrics, stick with softer colours on the walls and use vibrantly-coloured bedding or eye-catching pillows. Here’s an example of a boho chic bedroom I designed that has a refined, modern aesthetic. Juxtapose older items with modern ones for a relaxed boho chic space that still looks put together. This is also a great way to maximize the furniture and décor you already have. Top a vintage wooden table with a fringed table runner or hang an antique Moroccan lantern in a room with contemporary white couches. Use your imagination to create a truly Zen atmosphere filled with memories. A big part of the free-spirited boho chic home décor style is using plants and flowers to complement your space. 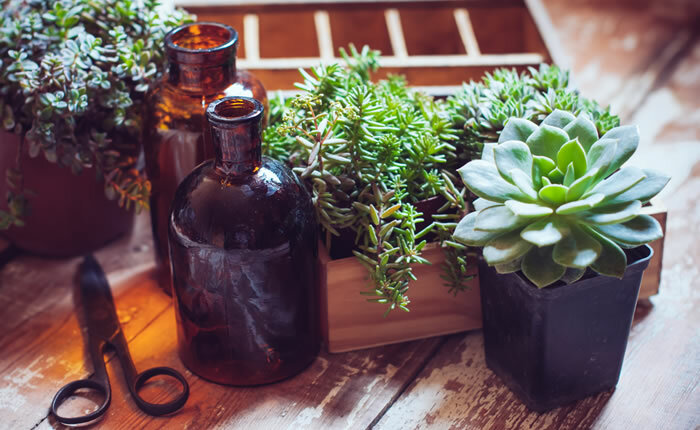 Look for live greenery like succulents and houseplants to create a fresh vibe in any room. 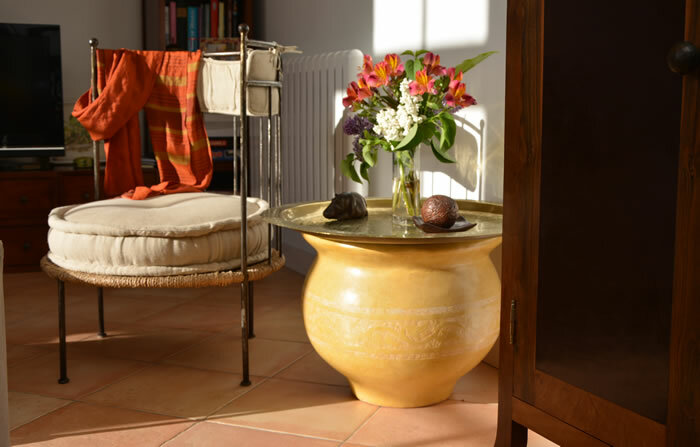 Go ahead and use differently-coloured pots or planters as accents. Be careful of using fake plants – they can look dated and tacky. Not a plant person? Choose artwork or cotton table linens with florals or vines instead. 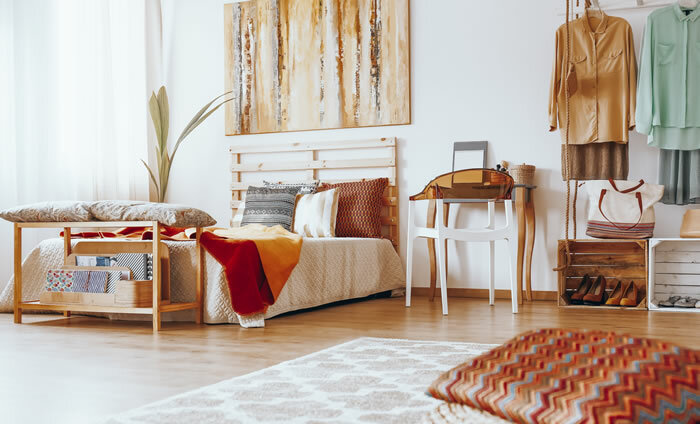 With all the colours and patterns out there, putting together boho chic décor might seem a bit intimidating. It doesn’t have to be. Whether you need help matching colours or want to pair boho chic décor with your collectibles, contact me for a design consultation (if you live in the North Vancouver area of BC). 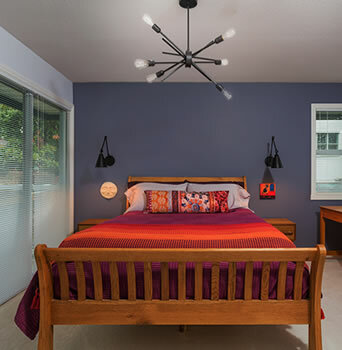 As a North Vancouver interior decorator, I’ve helped many people create their dream homes. Have fun creating your gorgeous boho chic space this summer!